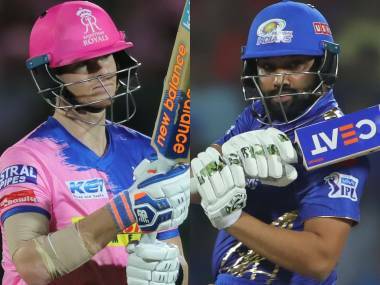 Mumbai: Rohit Sharma will open the batting for Mumbai Indians in the upcoming season of the Indian Premier League (IPL), the franchise captain confirmed on Tuesday. Sharma juggled between different slots in the last edition of the IPL. He started off opening the batting in the first two games but after returning with scores of 15 and 11, he slotted himself down to number four and then shifted between 3,4 and 5 in rest of the games. Over the years, he's juggled between opening the batting and playing in the middle order to help the team find the right balance. But this season, he will stick to the opening slot. "This year I will open the batting for all the games that is for sure," Rohit said in a pre-tournament conference in Mumbai. One of the factors behind the decision is the fact that the World Cup is straight after the IPL but it's the success he's enjoyed in that position in the international arena that is a major catalyst. He has scored 7974 runs opening the batting at an average of 48.62 scoring 24 tons and 41 fifties. "(Opening in World Cup)That is one of the factors but also keeping in mind that this is where I bat, that is my position where I play for India also. And that is where I have got a lot of success of late, opening the batting. And the team does understand that," Rohit explained. "The composition of the players that we have right now, we've got some experience in the middle order, that allows me to bat at the top of the order. Probably this season, I will try and do that. I will try and open in every game possible." The experience factor Rohit is relying on is boosted by the arrival of Yuvraj Singh. Last year, Mumbai's middle order blew hot and cold and this is where they are banking on Yuvraj to bring in the experience and stability. "Bringing Yuvraj Singh in the squad has been a boost because of the match-winning ability that he has," Zaheer Khan, Mumbai Indians' director of cricket operations, said. "And in our discussions leading up to the auctions, we have identified that we need an experienced batsman who can control the game in the middle. Since Rohit has decided (to open) and we all are backing him to go and open the innings, we need that experience also in the middle order. And who better than someone like Yuvraj Singh. So that has been the thought process around that. He's looking good in the nets. We are very happy with him. He's really looking forward to having an impact on this IPL. So that's great news for all MI and Yuvraj fans that he is looking forward to this season and doing everything possible to make sure he's there." Rohit concurred with Zaheer's thoughts. "Yuvi has been a proven match-winner, he's done it for so many years for the team wherever he's played and he's been playing domestic cricket as well to make sure he is ready for this IPL," the Mumbai Indians captain said. One of the reasons the middle order didn't click was Kieron Pollard's lack of form. The Trinidadian, who has been one of the central figures in the MI line-up over the years, averaged just 19 from nine matches before being dropped midway. However, Mumbai retained him this season and they are confident that the West Indies all-rounder will vindicate their decision. 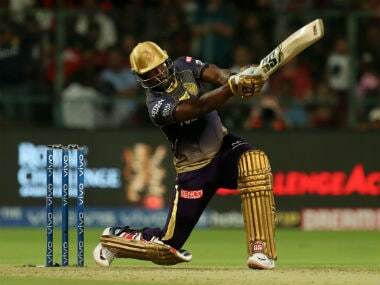 "Pollard has been playing a very influential role as far as MI's success is concerned," Zaheer said. "Anyone who is following or understands the game knows how difficult that position of batting is where people have been identifying players and searching for players who can contribute with that kind of power in that scenario which can change the game. A 20-run difference is also a huge one in this format. So keeping that in mind, the value and the faith that we have shown in Pollard, it's going to be reciprocated for sure. That's something which as an individual also he recognises. 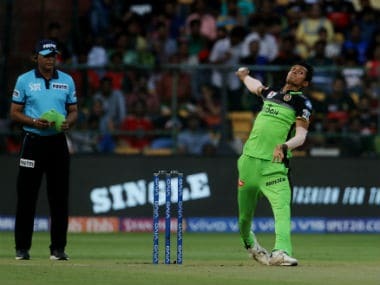 He recognises how critical his role is going to be this IPL and we are just looking forward to him also providing that kind of impact this season because we have faith in him. And he's been in good form as well. Recently, in the tournament (ISL) he participated he has been in form so he's coming into the tournament in form which is great news for us." Apart from Rohit's batting another thing that's going to be crucial for Mumbai this season is how they handle the pressure situations. They suffered five last-over losses last season as the nerves flared during crunch situations. Zaheer says that a lot of emphasis will be given on decision-making this season. "I think what is going to be crucial for us this season is to have an emphasis on the decision making which decides the outcomes of the matches, especially in the pressure scenarios. We want to create an environment where everyone is free to express themselves," the former India pacer said. Rather than looking for personnel who could play that finishing the role, Rohit is expecting every individual to put his hand up and respond in the face of tough situations. "In that (crunch) situation, whoever is handling the job, whoever is at the helm of the responsibility of that particular situation needs to take care of that. Whether it's a batsman needing 15-20 runs off the last over, or a bowler defending 10 or 15 runs are required, how he can deal with that situation. So it lies on the individual at that particular time. "I just had a brief chat with Zak (Zaheer Khan) about those kinds of situations, it was only that one particular individual that was taking the game away from us. If you look at those 4-5 games that we lost closely, it was those individuals that took the game away from us and how we can stop them. It is what I have spoken to him and with so much of experience Zak has, we will try and address that situation along with Mahela (Jayawardene) and Shane Bond who are a part of the coaching staff and try and make sure the boys understand that. Because there have been few additions to our bowling and batting group. So we need to address those little situations. Because I think those little situations are what matter. And that is the difference between winning and losing a game. If you win those, you can come out on top." One of the men who could help in decision making is Mumbai Indians veteran Lasith Malinga. The old warhorse is back again in the team after being bought at the base price of 2 crore. It's a unique case. Malinga was the mentor of the franchise last season and this is probably one of the rare cases where a mentor has returned as a player. "We are excited about it (the return of Malinga)," Zaheer said. "The kind of experience he brings to the table is immense. Not only in the bowling but also when you are in the game situation, it's a relief for Rohit also. And it's a relief for the other bowlers who trust what experience he brings and the valuable advice. As a coaching staff, you can plan things but when things are happening in real time, if someone is proactive, that makes a huge difference in terms of decision making," he added. 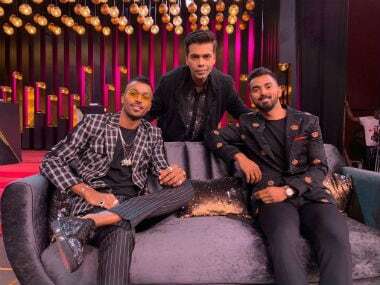 Another vital cog in MI's arsenal is Hardik Pandya. The Baroda all-rounder has had a bumpy ride after the Koffee with Karan episode. He made an immediate impact in national colours after returning from his suspension but the lower back injury which he suffered in the Asia Cup reared again to keep him out of the Australia series at home. He would be looking to make an impact in the tournament where he first shot into the limelight. And Zaheer feels that the off-field distractions will only make him stronger and he is up for the challenge this season. "Well, sometimes those distractions actually help you get back on track," Zaheer said. "He is pretty much on track. For any cricketer, the best way to go about his business is by going out on the field and let his numbers talk. So he is in that frame of mind. He wants opportunities, he wants to go out there, express himself and let everyone know that his priority is cricket. With Hardik, that has always been the case. He is very serious and passionate about the game. Zaheer said that Hardik's fitness needs to be continuously monitored but every "everything is under control so far." Lower back injuries are sensitive. Hardik seems to have a problem while landing at the crease. Zaheer feels that Hardik should be consulting with Shane Bond, the Mumbai Indians bowling coach, who had been impacted by similar kind of injury during his playing days. "We have the great Shane Bond with us and you know the history of what he has been going through in his playing days," Zaheer said. "So he is the right guy he should be talking to because he's someone who's been through that. He has that issue with his back which eventually had an effect on his career. He (Hardik) is finding ways around that. When I saw him in the Asia Cup, I was very concerned actually to see that sight on the field. But when I spoke to him, it's not the problem which he has faced for the first time. So that's something which should work because he had a similar kind of issue about 3-4 years ago as well and its related to what he feels is when he is getting off through the crease. It has a certain kind of impact which he has been working on. In the shorter term it's not going to have any consequences because he is pretty much aware of where things stand but in the longer term, he knows what are the things to be needed to get rid of those issues permanently." Hardik's injury also brings up the topic of workload management ahead of the World Cup. Whether the franchises should rest the Indian players prioritising national interest. However, Rohit says that the players themselves want to play in the IPL which will help them carry forward the momentum in the World Cup. "I have spoken to few players and they want to play a lot of games to stay in touch," Rohit said. "Because if you take them away from the game, they kind of lose the touch and it takes a little bit of time to come back into form. So some of the players that I have spoken to in the Indian team and also here (MI), they like to be in touch with the game, they like to keep playing. These individuals are very smart, they know when they need to take a backseat and rest. So communication becomes very important and I think they are doing that perfectly." The Mumbai Indians captain also hinted that Siddhesh Lad, who has been with the franchise since the 2015 season but hasn't played a single game, could get his debut cap this season and could be a surprise factor for the opposition. "If I talk about Siddhesh, he's been a part of this team for a few years now. three or four years now. And in domestic cricket, he's been one of the consistent players. So I feel somewhere down the line, we need to play him to see what he all about when it comes to the IPL. I wouldn't say he is inexperienced but he's not played IPL. He is raw, so the opposition may be surprised with his skillset. Whatever is the best possible combination for that particular opposition, we will try and bring them in."